You have seen then thousands of photos of overwater villas, beaches and lagoons and you think that Bora Bora looks absolutely breath taking but you are an active person so you wonder, will I get bored? How much lounging around and sun bathing can one do before it is too much and your itchy feet get you up? Or before you get burned and look like a lobster? Contrary to general perception, Bora Bora is not like other beach destinations where there isn’t much to do. For example, if you have been to the Maldives you will know that resorts do their best at coming up with activities but that the reality is that if you are spending a week there you might run out of things to keep you busy, unless you are happy going snorkeling every day. I am the first one to have had the wrong impression about Bora Bora. Yes, this is paradise and the beach and the lagoon are out of this world, but No, this is not a beach bum destination only, after 8 days there I did not have a moment of boredom and I left with a few things still in my bucket list. So here is the low down. This was slightly surprising to me but Bora Bora has only 5 dive sites. 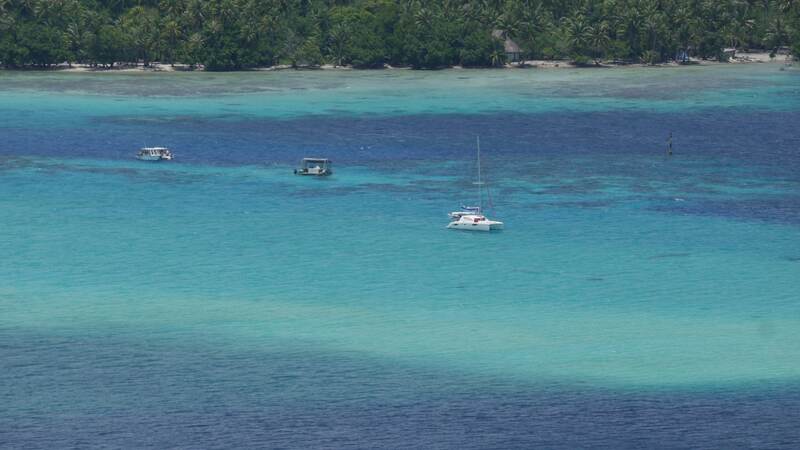 The water is beautiful and warm, visibility is usually very good and marine life is plentiful but save for a couple of spots I would not qualify Bora Bora as the mecca for divers. You should definitively go to the manta cleaning station, that was awesome and a great way to see many of these gentle creatures but aside from that the Pacific has a few other richer dive spots so diving is likely to keep you busy for a day unless you are a fish in the water and love anything that involves bubbles and regulators. I got hit by my frequent traveler arrogance here. 4×4 safari? Sure, that probably means a bunch of tourists on an air conditioned 4×4 going through perfectly paved roads. Wrong! This was some proper adventure across the very rugged interior on an open-top jeep! And because I visited during the rainy season that just made the roads even more exhilaratingly dangerous. There were several points where I wondered what the jeep was made of. Does it have real tyres? What sort of engine does it run? Are we really going to make it through this steep, completely rocky and muddy path? Does anybody die on this adventure? I remember closing my eyes on a few occasions and screaming at least twice. The roads were simply impassable, the worst paths I have ever seen, and I have spent 5 years in Africa where the rainy season deems half of most countries completely unreachable! It was raw fun and the views from some of the lookout points up in the mountain left me speechless. We saw practically the entire island and lagoons from above from the various angles and it was possibly the best activity we did. But you had to hold yourself tight throughout the journey, as if you were in one of those crazy roller-coasters. The tour also included a stop at a pareo making house where we could sample some of the local fruits and also at a pearl farm, although that was a bit more of a tourist trap. Through the tour the guide will also point out the WWII ammunition bunkers and the canons, which are thought to be 100 years old and sourced from WWI rather than WWII. Bora Bora was an important American refueling stop during the war. This is the most popular of the activities on Bora Bora and you can’t leave the island without going on it at least once. I went twice and on top, had daily ray feedings at the resort’s beach, one of the reasons to pick the Intercontinental Thalasso! Ray and shark feeding is exactly that and these are truly wild animals not some restrained ones in the ocean. Of course, they have got used to seeing humans and they do not attack or sting but this does not take away from the completely exhilarating experience. In the case of the rays you are likely to be in the lagoon on shallow waist-level water you can stand in and the rays will come to you, brush themselves against your feet or legs and let you touch them. They are gooey and slimy much like the skin of a dolphin and some parts of their bodies, like the tails and the tips of their wings, are quite rough and scratchy. They could theoretically sting you but they don’t and you can see their sting at the back of their bodies where it meets the tail. They are very friendly and at some point the guide will surely pick one up and even give it a kiss. I am pretty sure this is not doing these animals any good but try to explain this to them….they see the rays every day so the animals can totally recognize the guides, it is quite astonishing. In the case of the sharks you will be in the ocean, typically at the only opening of the Bora Bora lagoon with the open ocean. At the surface you will find tens of black tip sharks, relatively small, about 1-2m long, and at the bottom, in the same location, lemon sharks, much larger 2-3m and who tend to stay at the bottom. In both cases you jump in with a snorkel and swim among them. Trust me, it is very scary! They get really close and when one of them them stares and swims towards you I challenge you to hold your stare back! Chances are they will veer away at the last minute but they may get to 20cm of your face. At some point the lemon sharks may come higher up to the surface but usually you see them below your feet. It does not take away from the fear, probably inculcated by Jaws, that you may turn around and suddenly find them bitting your leg off! Even if you are scared, I strongly recommend this excursion because from the boat you will still see this show of nature in its full splendor and it is truly incredible. However, I would rent a private boat for 2h instead of joining a group. If you are 2 people the private boat will be only slightly more expensive but you get to go wherever you like and to stop for as long as you like. More importantly, you may find less people at these spots because the tours go at certain times whereas your private boat can be booked at your preferred time. Go in the morning or check the best tide, if the tide is up and water is higher than waist deep it will be harder to interact with the rays so not as much fun. 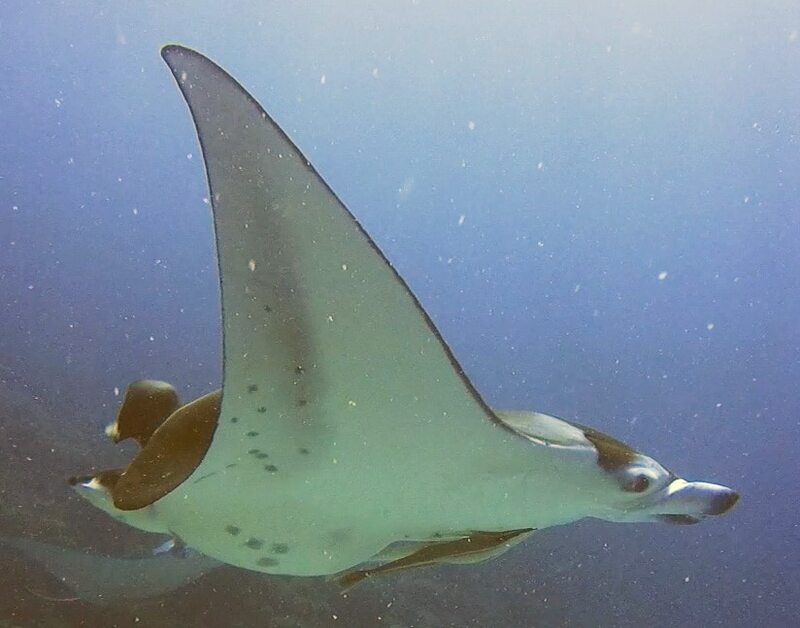 The ray and shark feeding tours usually end at a snorkeling spot. The lagoon is beautiful and on a sunny day you will be able to see all shades of blue, Bora Bora redefined the meaning of blue to me. Jet skis are very popular and you see them jetting around the lagoon almost all day. You can get a guide and explore the lagoon onboard one of these. Unfortunately I did not have time to get on one but people seem to be enjoying it very much. 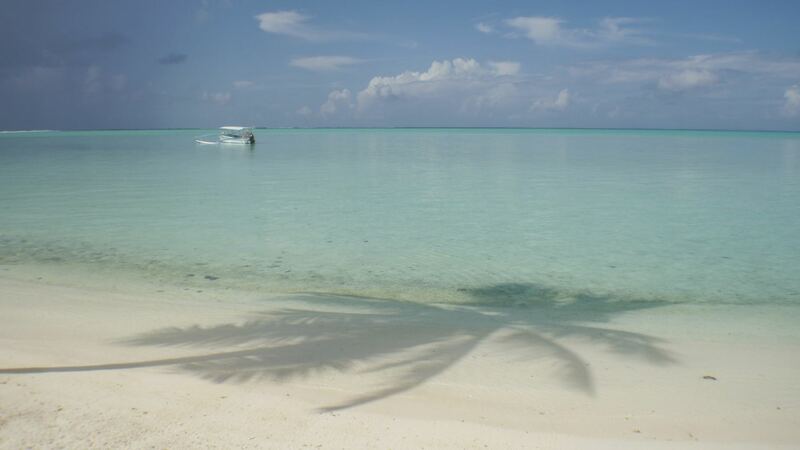 You will also stop at some island to enjoy the sand and some freshly cut fruits. 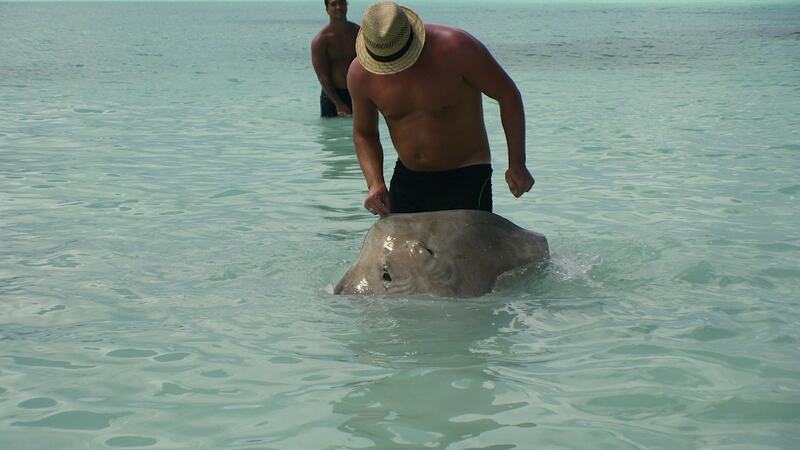 I tried and tried and tried but could not make it happen but this was one of my bucket list activities for Bora Bora. After seeing it from the sky onboard the plane on the way in and out I got my aerial view fix but I would still have loved to go on one of their 30min tours. Why is it so hard? Helicopters need good weather but also, the prices are quoted for 4 people, unless you want to pay twice if you are two, and the price is so hefty that I could not justify it to myself. So eventually, when we got two people who wanted to go the weather turned sour and the tour was cancelled. In 8 days I could not make it happen to plan well ahead if you want to do it. I saw the helicopters touring above us a few times and it must have seen magnificent. Bora Bora is a photogenic island. If you can, it is probably one of the most memorable trips of your life. Bora Bora has the largest and most awarded spa in the Pacific: Deep Ocean Spa at the Intercontinental Thalasso. They use water sourced from almost 1km deep into the ocean and have a huge outdoor and indoor range of facilities to use if you book a treatment. There are slim pools with pressure water, jacuzzis, a hammam, various jet spas and other options all using their deep water. You can also book a course of treatments which are given over the course of 3-5 days. I found the spa nice and interesting but I had the feeling that I have seen it all in terms of massages and treatments. My 90-min signature Bora Bora Deep Ocean massage was nice and so relaxing I fell asleep, drooled and probably snored so maybe it did have the desired effect…but I would qualify the rate as overpriced. To make it worthwhile, spend a few hours there enjoying the various pools, baths, jets and treatments available. Almost every hotel will have paddle boards, canoes and kayaks free of charge to use. If you are lucky enough to be on the lagoon the waters will be so calm and clear that a paddle around is very appreciated and a great way to wander about. Even if you are staying on the Motu, where the higher end resorts are, I would highly recommend a visit to Matira Beach on the main island. This is the only public beach on Bora Bora, all the rest are privately owned and that does not necessarily mean by high end resorts, most bits are owned by simple people like you and I who just happen to own a piece of the most beautiful island on the planet. Most tour operators will own or have access to some strips of beach which are usually included in the tours but for the Sexiest and Best Beach in the World as voted by Travel Channel and National Geographic Traveller head to Matira, it is a slice or pure haven, the real life version of what dreams are made of. Think white powder sand, crystalline waters in a shallow lagoon, crashing waves on the reef in the horizon, incredible sunsets, all shades of blue and, most importantly, hardly anyone there. Take a picnic or, if you are staying at the Intercontinental Le Moana, grab your pina colada and head to Matira just across the street to enjoy it while the sun comes down. Tahiti and also Bora Bora are famous for their black pearls. You can join one of the visits to the pearl farms and learn more about hat makes them black and see some of the jewelry made with these rare pieces. It is a short excursion into town where you can find Wan, the famous jewelry store, or other pearl harvesting facilities. After going on a private boat tour of the lagoon with the second serving of ray and shark feeding I have a new appreciation for pareos. Our guide managed to tie one around his private parts as if it was a pair of Speedos and wear only that for the entire day. That meant that every time he bent over or went into the water we could see his derrier because that was nothing more than a loin cloth. Even if you do not plan to use the pareo as a piece of underwear it is quite interesting to learn to tie it in the various ways. Chances are your resort will offer these lessons for free throughout your stay. It is a very useful lesson. I tried this heart racing sport in Penang a couple of years ago. I did it because at first I did not realize this was going to make my heart skip a beat. Looking at it it did not seem very imposing, after all, people were doing it one after the other. But high up there, I was speechless, literally, I could not even scream. 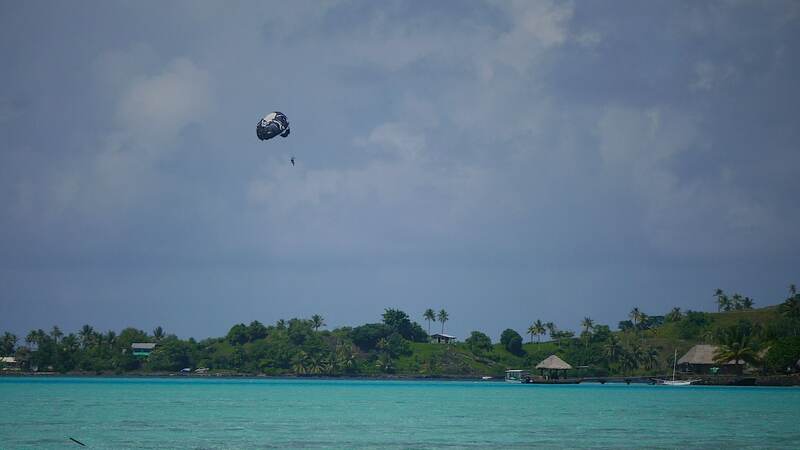 In Bora Bora you see the parasailers everywhere when the wind is stronger and the day clear.